Omron is worldwide one of the leading companies for industrial automation. At the exhibition Nepcon in Thailand Omron presented a fully automated solution with a quick change robot dispensing system. 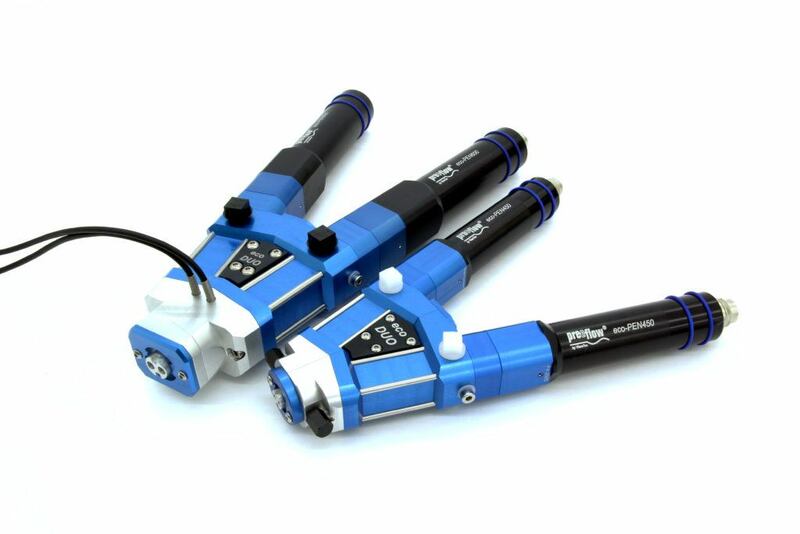 Regarding this solution an eco-DUO was mounted to precisely dispense a two-component adhesive. Omron Corporation: Established in 1933 and currently headed by President Yoshihito Yamada, Omron now has more than 37,000 employees in 36 countries, working to provide products and services to customers in a variety of fields – including industrial automation, electronic components industries and healthcare. The company has its head offices in Kyoto (Japan), Singapore (Asia & Pacific Rim), Hong Kong (China), Amsterdam (Europe) and Chicago (USA). With annual sales over $7 billion, Omron was ranked number 521 on Industry Week’s 2008 IW1000 World’s Largest Manufacturers.